I got this for Mrs Rupert yesterday, I'm not sure what it is .......maybe some sort of Daffodil? Anyhow, the aroma is intoxicating from the tiny blooms....a very strange fragrance of dark chocolate and vanilla, not sweet and not bitter...just very strange. This with the X10 and Pentax 540 flash at 1/4000th. I like the high speed abilities for outside daylight fill flash, very handy! A couple more......wish you could smell it! Don't know what it is neither Rupert, all I know is that this is super photography and good PP. Thanks for showing us. Thanks Heinrich! It is the most exotic of aromas......I have seldom smelled anything so intoxicating. Mrs Rupert put it in her bathroom near her new little Doggie, and I could swear I heard him make a pleasant sigh! Love them! what wonderful photos. Thank you for sharing them. You are certainly a changed man since getting that K-5 Rupert and your shots are really grabbing attention..............................Well done! It is (and the photos of it) are delightful. 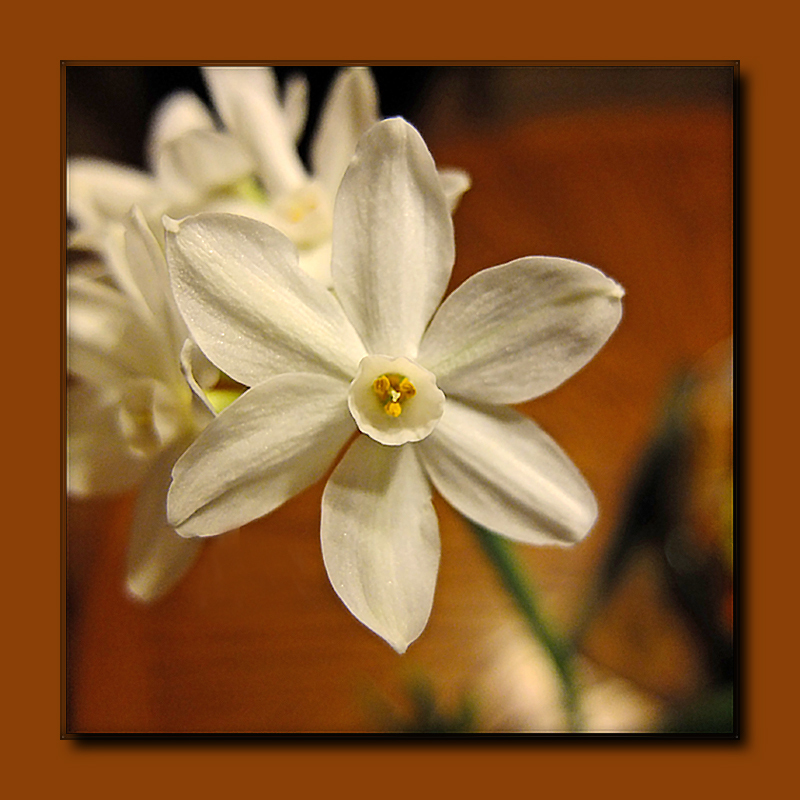 I think it might be narcissus (sp? 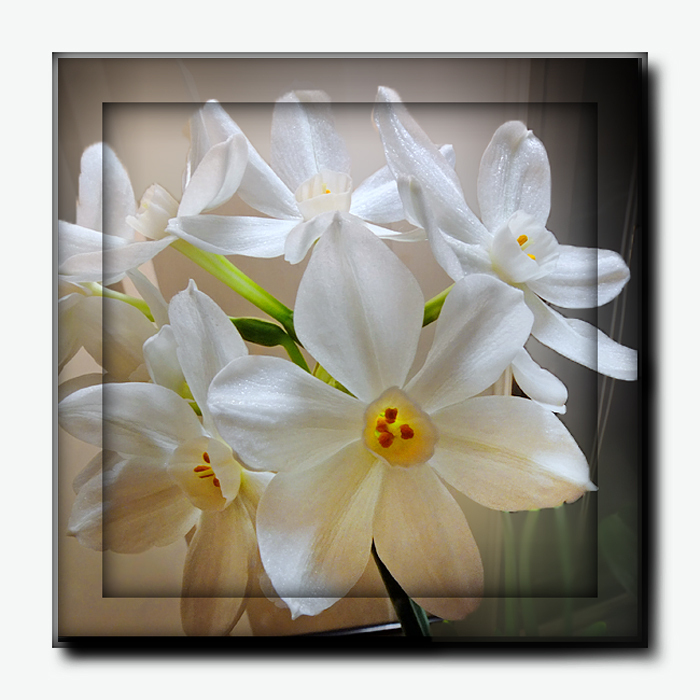 ), also sometimes called paperwhites. 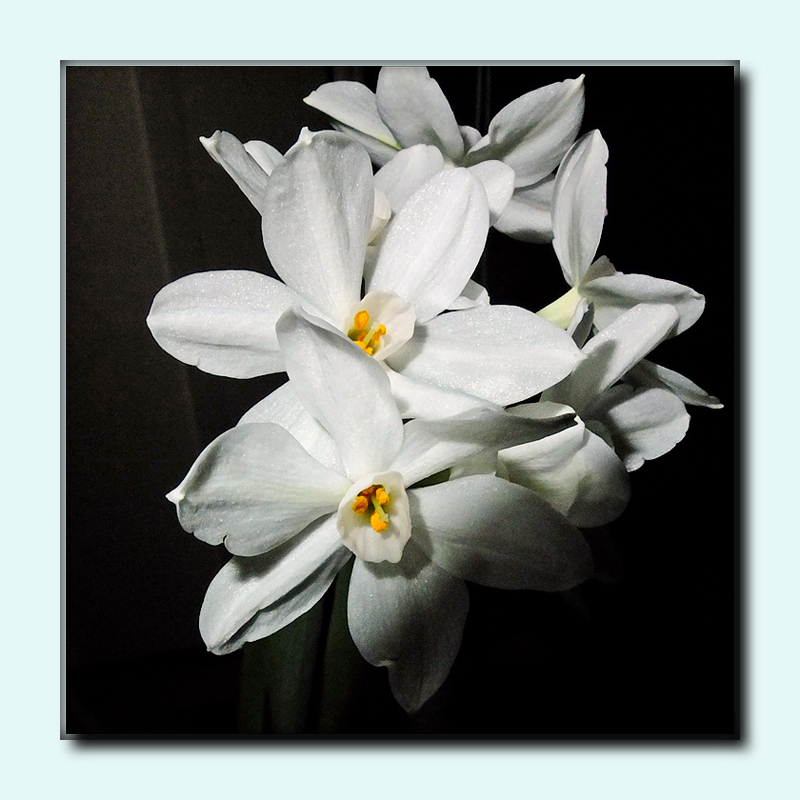 Yep, narcissus, one of the earliest blooming flowers, sometimes through the snow! I'll stake my reputation - it's a flower of some kind. Nice shot, my friend. Thanks all! 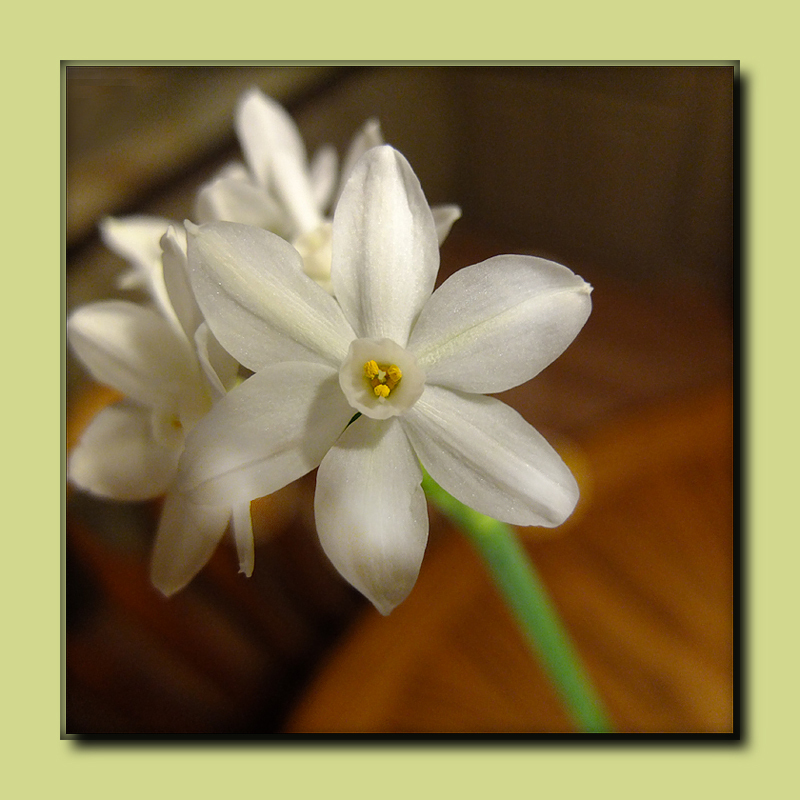 It has the strangest aroma, Narcissus? Glad to know what it is, Mrs Rupert liked it too......I try to keep her happy, and then she lets me get the photo gear I want....works great! Her new Doggie was a big hit too! Pretty shots there Rupert, it is definitely a Narcissistic, no wait a minute that is what Otis is. Mrs. Rupert is one lucky lady.